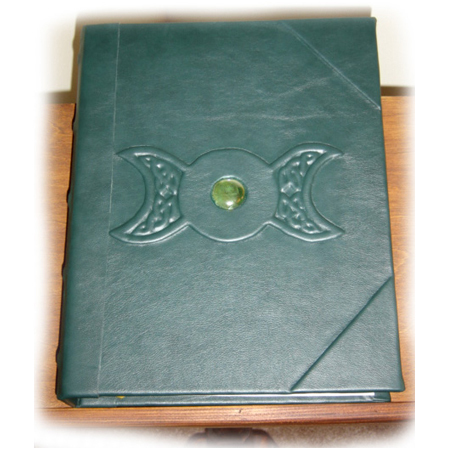 The Celtic Moon – Practical Magic – Wiccan Book of Shadows. 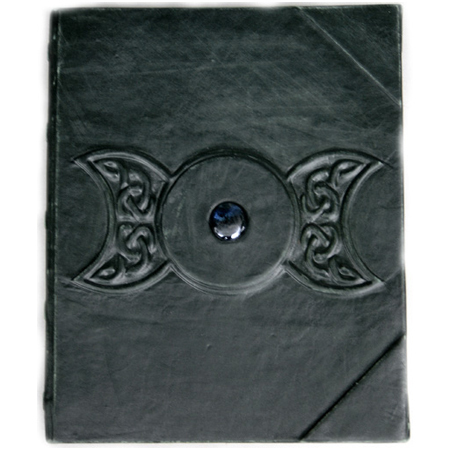 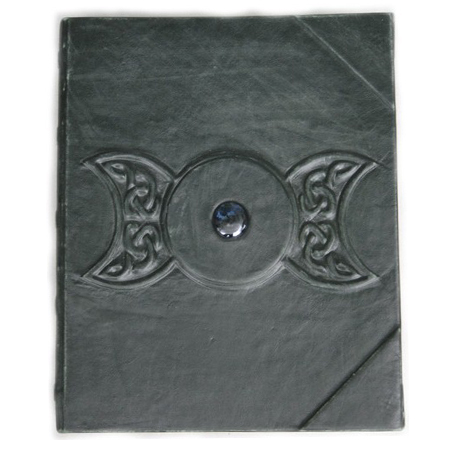 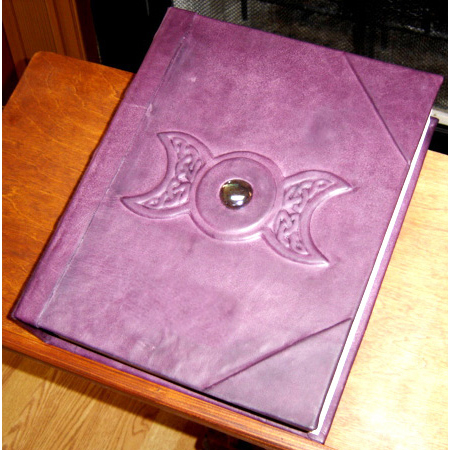 The Celtic Moon – Practical Magic – Wiccan Book of Shadows goes beyond all other Book of Shadows that LaPulia Studio has created. 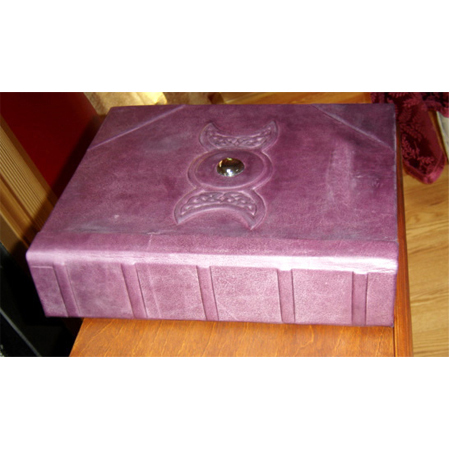 Inspired by the “Practical Magic” movie, this book has a fantastic design and crafted as two books combined to create one. 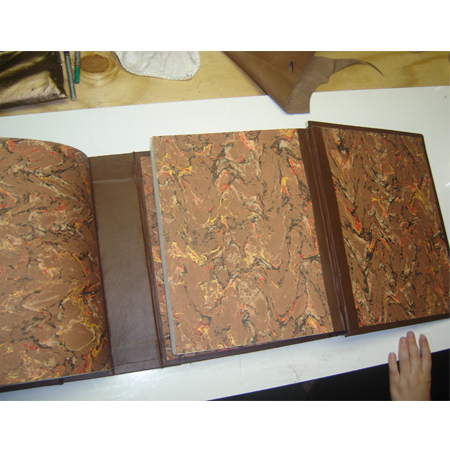 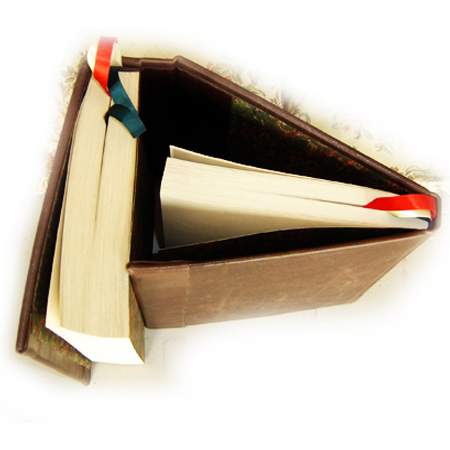 And so we made a double layered folding book, where one book folded inside the other. 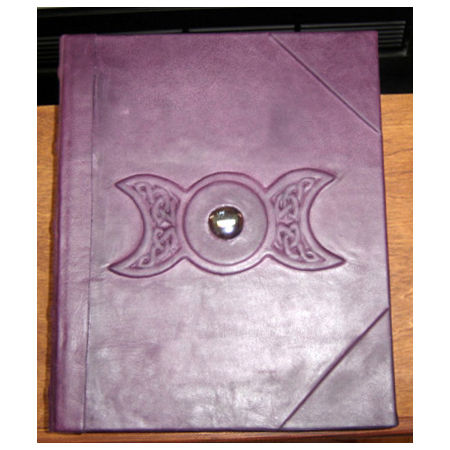 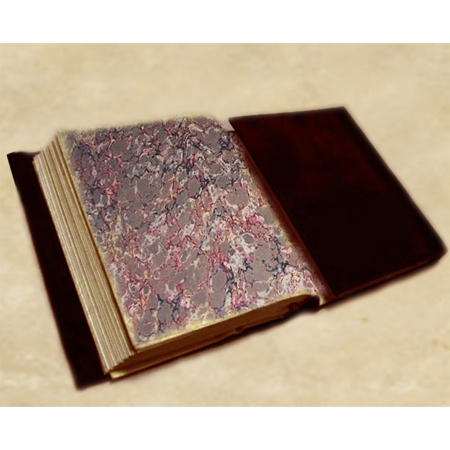 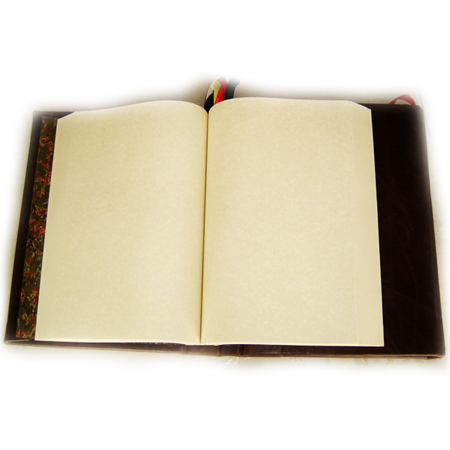 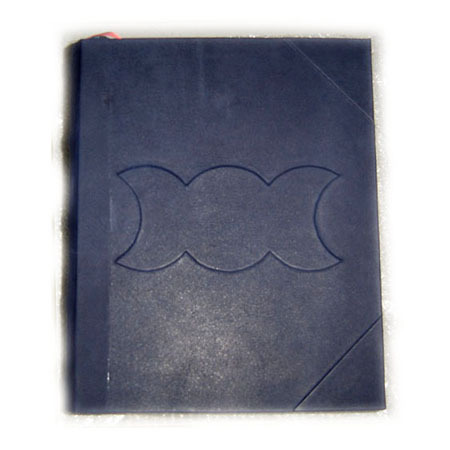 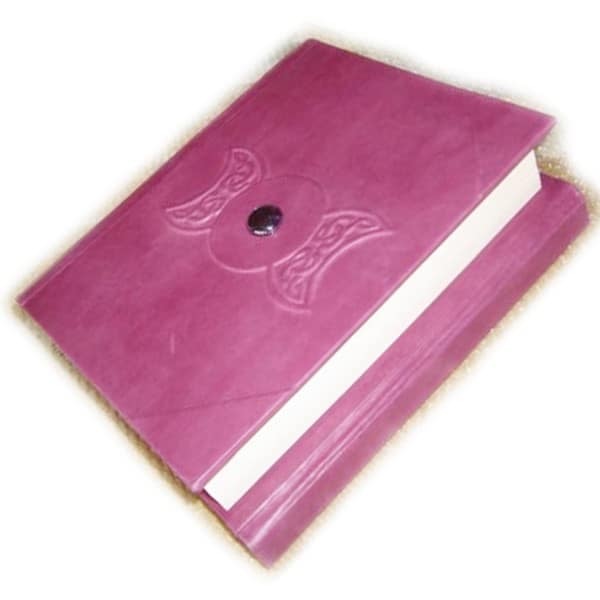 The Practical Magic Book of Shadows has two sections: one is the main section with 300 leaves (600 pages). 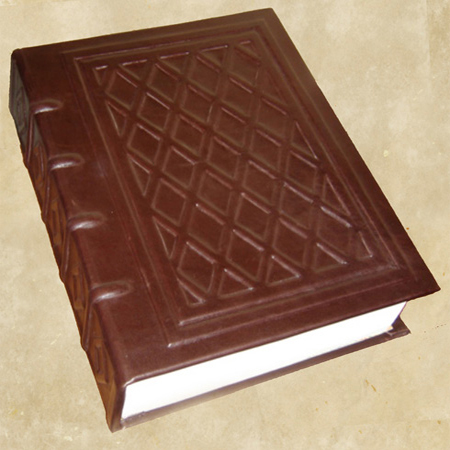 And the second section 200 sheets (400 pages). 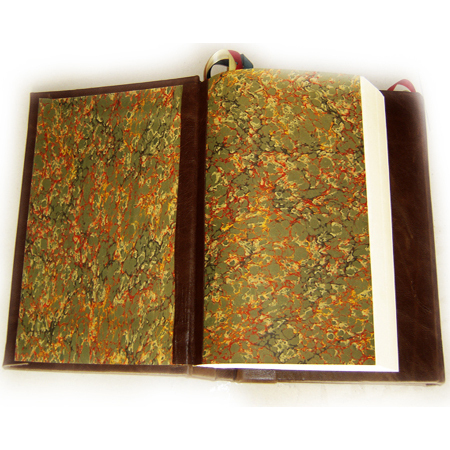 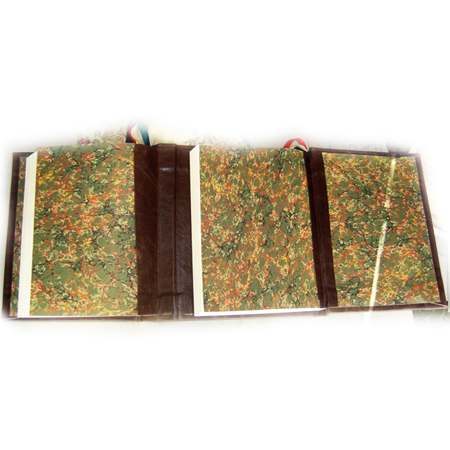 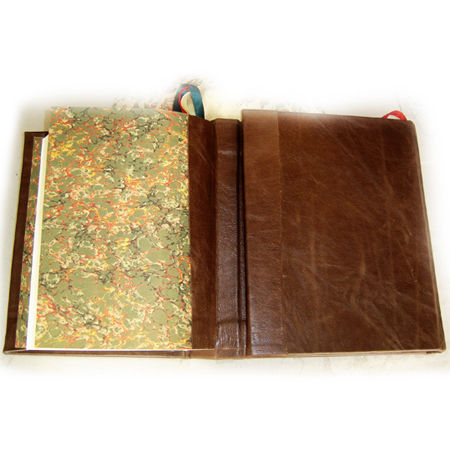 Also, Practical Magic Book has a beautiful cover in a dark shade of brown from our exclusive Italian leather collection. 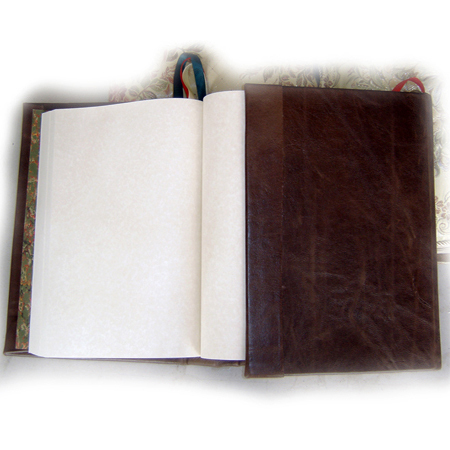 The leather also is manually distress by hand using our patented six-step process.